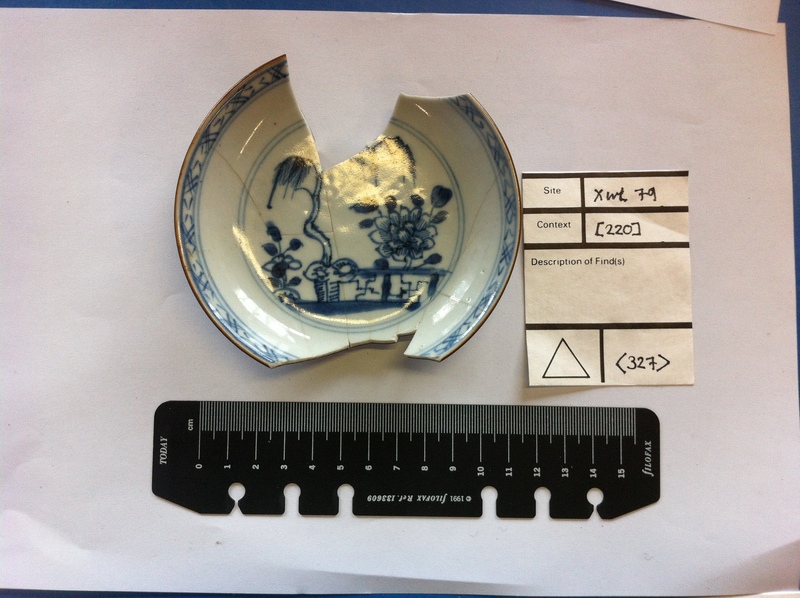 After four week on this project, Will, Emma and I (Roshni) have become quite adept at identifying the vast range of Chinese porcelain that was on the market in London during the seventeenth and eighteenth century. During our first day at MOLA, Jacqui Pearce, a senior finds specialist, introduced us to the wonderful world of porcelain and we soon began to channel our inner Cash in the Attic antiques expert. 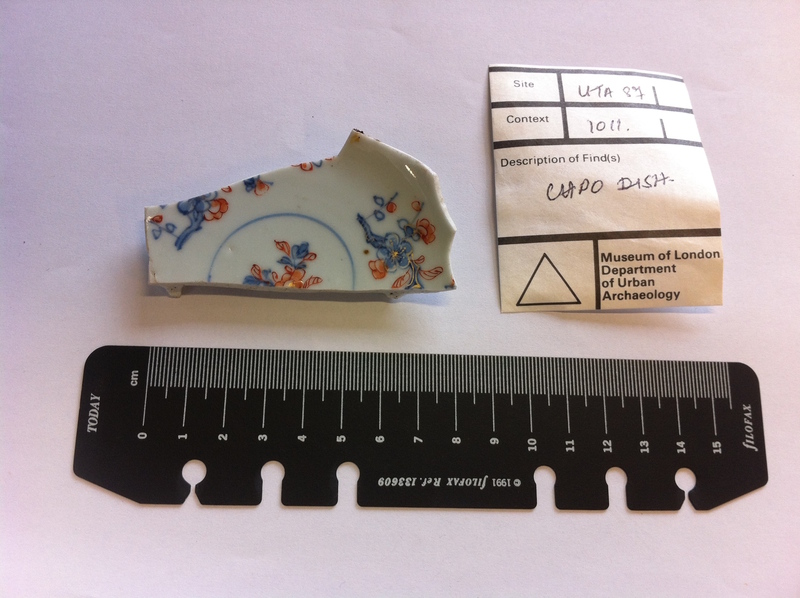 We first began searching through the finds found in the site UTA87 (Upper Thames Street) for pieces of authentic Chinese porcelain as opposed to the deceptive English porcelain produced in Staffordshire. 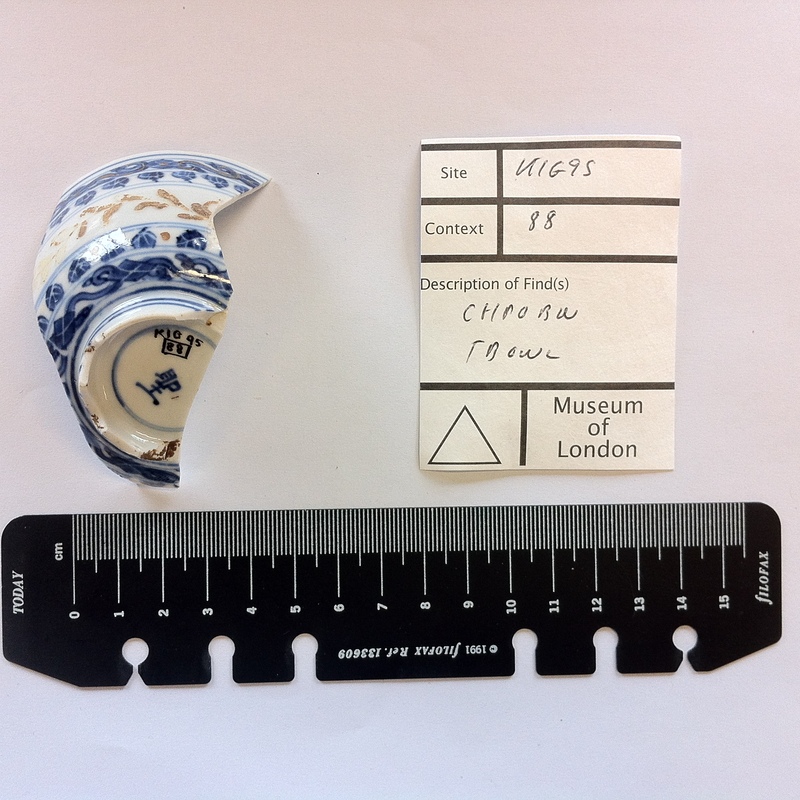 In this site, we discovered fragments of the most common blue and white late Ming porcelain as well as some examples of more expensive Chinese porcelain styles such as Batavian and Imari. The latter styles include an additional colour in their decoration that requires these pieces to undergo the firing process once more to incorporate the new colour, which increases the production costs. 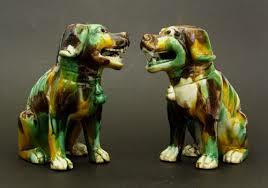 In other words, it appears the owner of this particular collection bought both the bog-standard style of porcelain, but also forked out a bit for some up-market pieces. 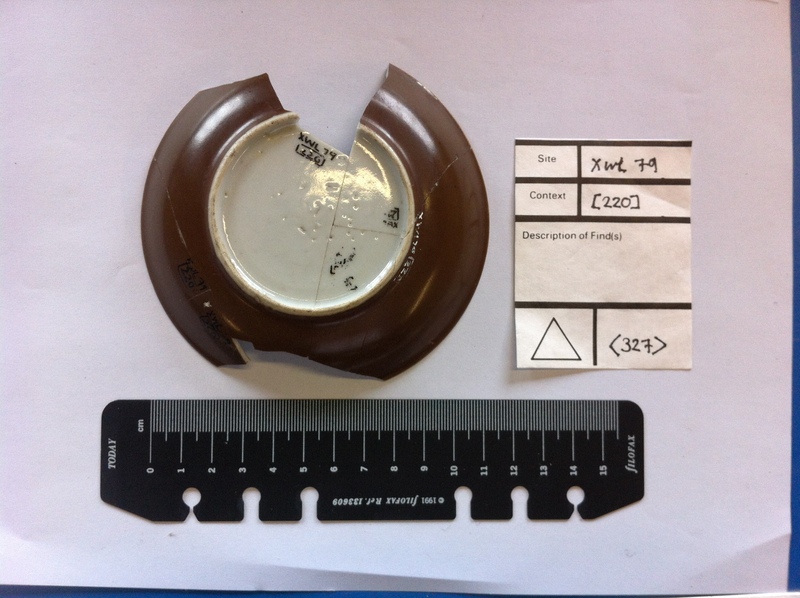 Our next site was KIG95 (15-17 King Street) where we discovered a piece of Chinese porcelain that had additional gold gilding overpainted in the West (typically in London and Amsterdam). The technical term for this style of porcelain is klobbered ware and the overpainted decoration scratches off much more easily than the blue and white underglazed decoration. Klobbered ware is a very appropriate term for this piece considering how intrusive and forced the golden patterns look against the hand painted underglazed blue and white decoration completed in China. Unfortunately, we did not come across the ugly specimens of Chinese porcelain that we were hoping for. Emma and I were particularly eager to find some rare remains of Egg and Spinach porcelain, which look as quirky as they sound. 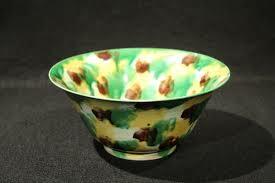 I think that this type of porcelain deserves a mention just for their really weird, retro and abstract designs.